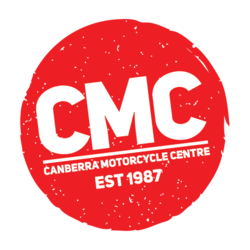 Canberra Motorcycle Centre is the largest Motorcycle dealership in the ACT region. With a high standard of customer service and a long standing in the industry of over 25 years, it is no wonder that people keep coming back for sales and service. Being in the top ten dealerships Australia wide with sales and service for Honda, Yamaha, Suzuki, Can-am and Kawasaki we are now striving to do the same with our new franchises Ducati, KTM, Royal Enfield and Indian. Our commitment to customer service doesn’t end there; we have one of the largest collections of apparel, accessories and spare parts in the region. We now have 2 dedicated showrooms: the massive motorcycle showroom and our huge parts & accessories superstore! If we don’t have what you want we can obtain any apparel, accessories or parts that you require. We know Motorcycling is not only a method of transport but a passion and we hope we can share that passion with you.